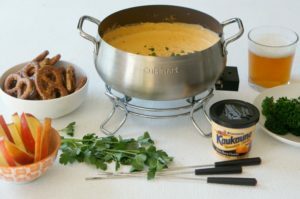 Last minute entertaining stays low stress with this two ingredient Kaukauna® Cheese Fondue recipe. 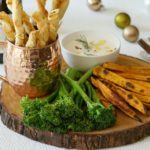 Effortlessly chic and easy to serve with a variety of dippers. As a food blogger and recipe developer, I’m required to cook food for my job. Which inevitably means I have a lot of food at the end of the day. So, I invite friends and fam over to enjoy the fruits of my labor. These dinners aren’t always planned. They’re usually thrown together last minute – mostly determined by how good the natural lighting was that day. These dinners are always fun, how can it not be with great food, drinks and company? And just because I plan them last minute, doesn’t mean I don’t feel the need to bust out my inner hostess. An appetizer must be served. If not for Southern protocol, then to stave off the hangry guests until dinner is ready. 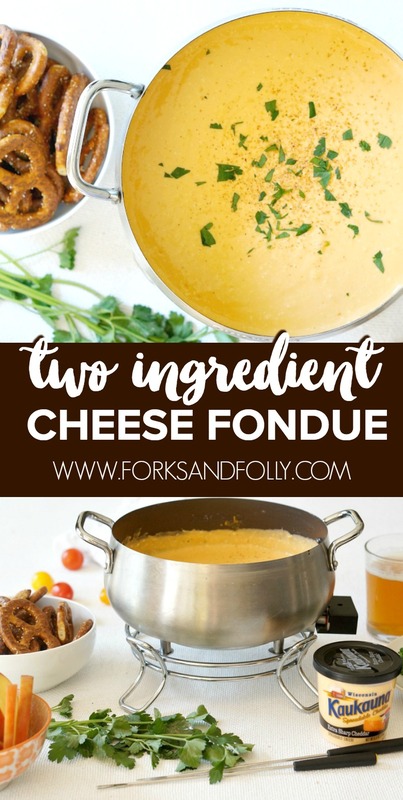 Fondue is one of my favorite go-to appetizers. 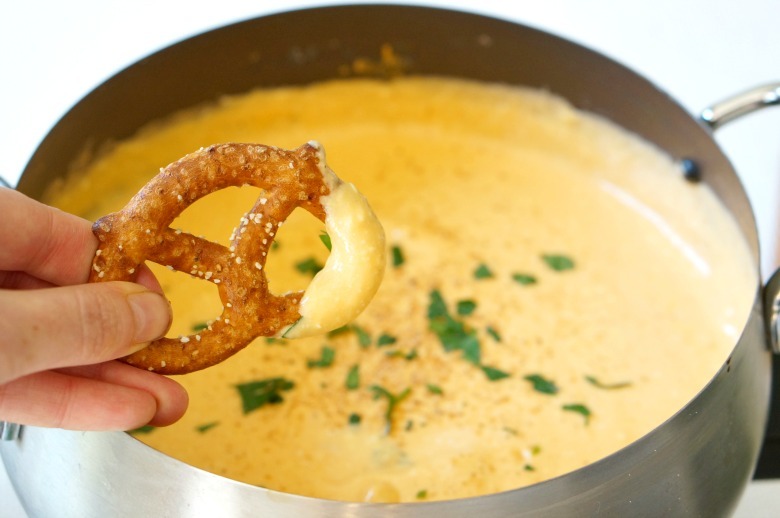 I mean, if you don’t love to dip almost anything into a bowl of cheesy goodness, I’m not sure we can be friends. Just kidding. Sort of. A lot of traditional fondue recipes take a myriad of ingredients, some of which I don’t always have on hand. 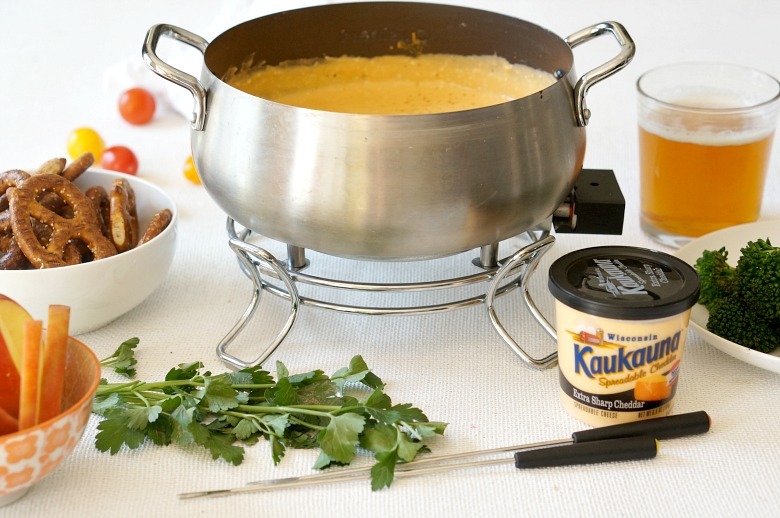 That’s what makes this Kaukauna® Cheese Fondue a hostess’ dream. 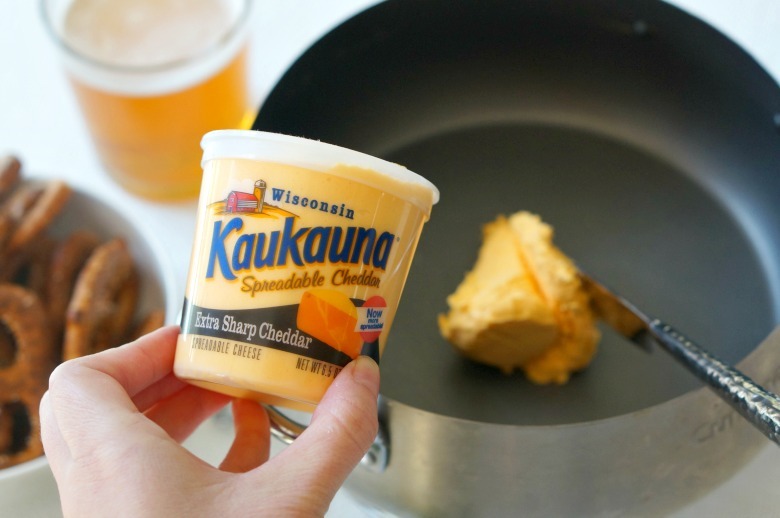 With just two ingredients (Kaukauna® Cheese and your favorite beer), you’ll always have what you need to whip up this recipe. Plus, you can dip almost anything into it. I’m serving it up with sourdough pretzels, steamed broccolini, and sliced apples. But, smoked sausage, bread, and raw veggies would be great too. Prepare the ingredients you’d like to serve as dippers. If serving apples, splash them with a touch of lemon juice to keep them from browning. Bring beer to a simmer in the fondue pot. 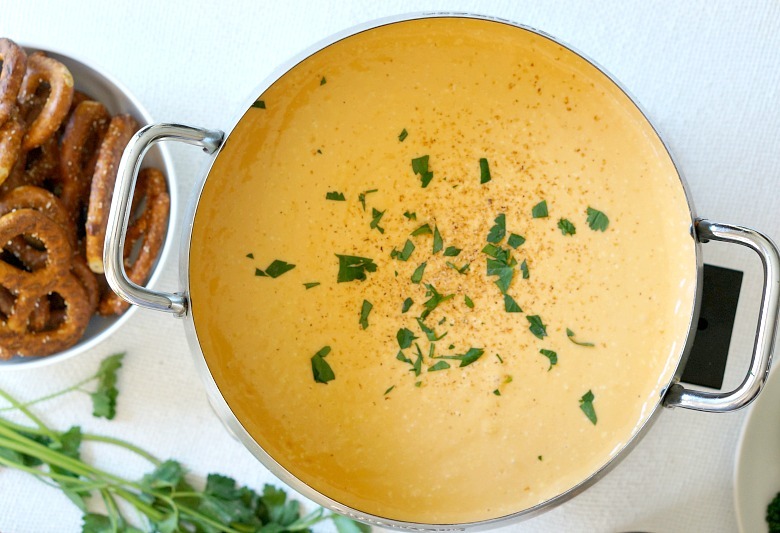 Add the cheese by the cup-full, stirring to incorporate after each batch until smooth. Keep the heat at a warm temperature. Enough to keep it warm and smooth, but not at a full simmer. 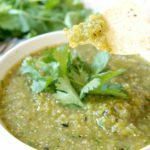 Season with additional salt, fresh parsley or hot sauce, if desired. Prepare the ingredients you'd like to serve as dippers. If serving apples, splash them with a touch of lemon juice to keep them from browning. 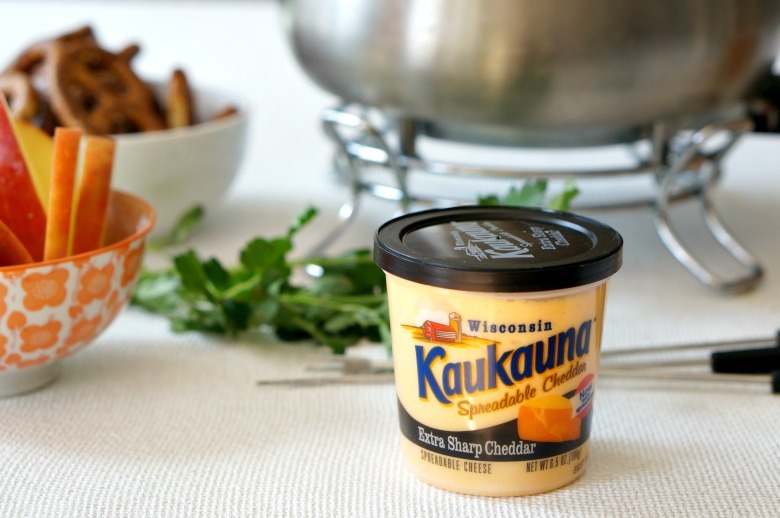 Kaukauna® is a delicious and easy entertaining solution made with 100% real cheddar. I love it in this fondue, but it’s great on it’s own too. Try the many flavors available in cups logs and balls available at your local grocer. I scored mine from Harris Teeter. 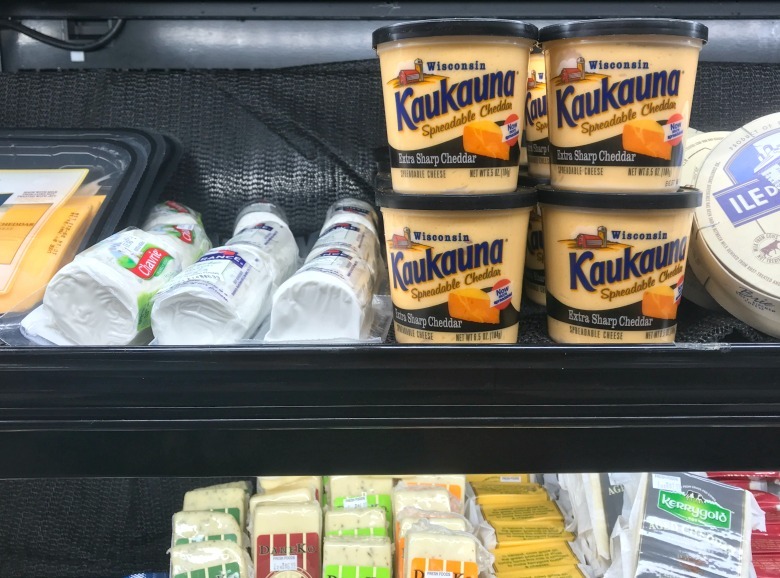 Be sure to take advantage of this Ibotta offer, available as of 3/14/18, with your Kaukauna® cheese purchase. Need a few other recipes to entertain with? 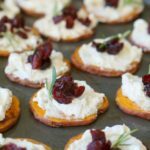 Our Crostini Bites Three Ways are always a hit. 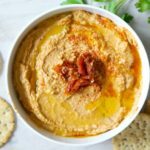 And guests will love this Homemade Sundried Tomato Hummus Dip, too.